The show follows the basic format of the classic TV game show that ran for over 25 years: Four celebrity panelists try to guess the occupation of a guest, asking only yes-or-no questions. 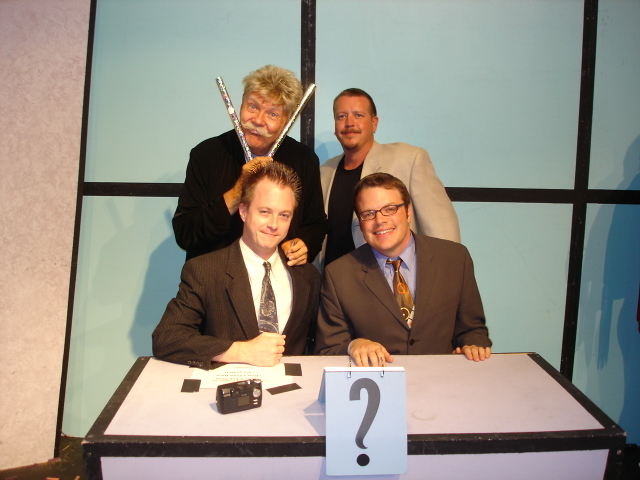 The guests are all regular folks with interesting or unusual occupations –plus an appearance by a special celebrity mystery guest. Our show, however, is not broadcast; the only audience is the folks who show up in our 99-seat theatre. We do actually play the game with real people with real occupations and genuine celebrity mystery guests –the show is not scripted. Some of our previous Mystery Guests include Drew Carey, Noah Wyle, Tara Lipinski, LeVar Burton, Lisa Loeb, Jose Canseco, Lindsay Wagner, Mr. Blackwell, Ed Begley Jr., and Rip Taylor. Our panelists have included April Winchell, David L. Lander, Greg Proops, Ann Magnuson, Wil Wheaton, and Patt Morrison.